"Arp! 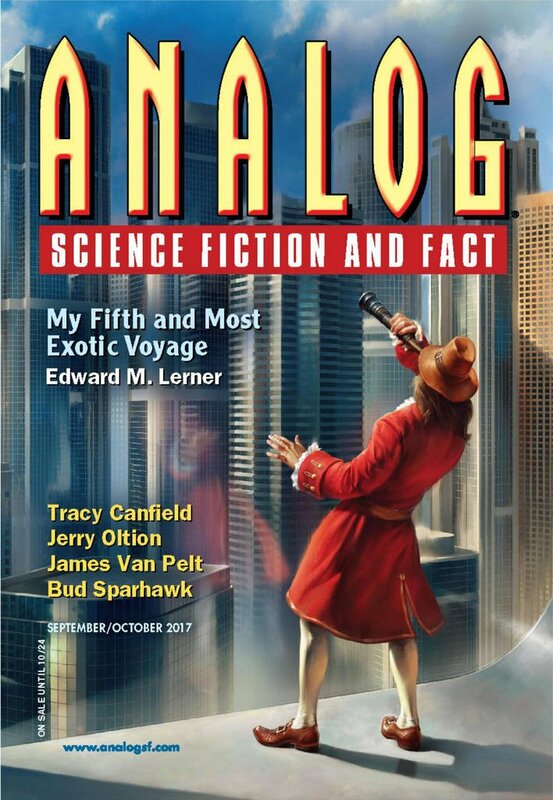 Arp!," by Christina De La Rocha (edited by Trevor Quachri), appeared in Analog Science Fiction and Fact issue 09-10|17, published on August 17, 2017 by Penny Publications. Pro: Monique solves the mystery, and it’s a good setup. Con: She solves it by discovering that the seal has a Russian accent.